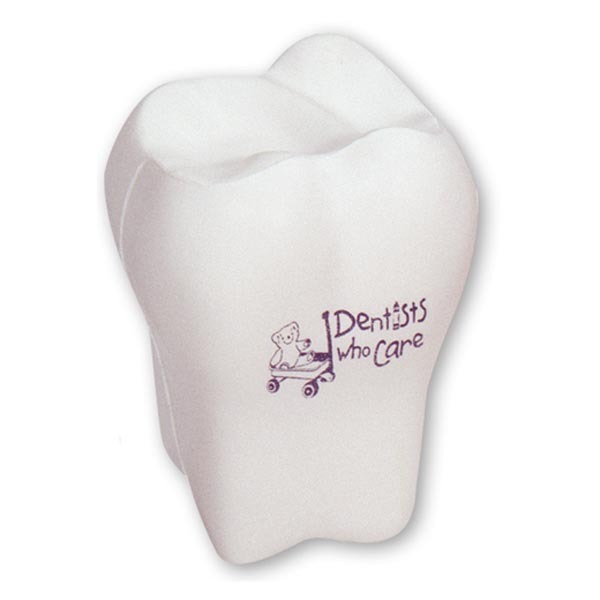 Customers will be chomping at the bit to get their hands on this tooth stress reliever! Measuring 2 1/8"W x 3"H x 1 7/8"D, this unique promotional giveaway will keep your hands busy and help take the stress out of daily activities. What an outstanding handout for dentists, orthodontists, toothpaste companies and more! Customize with an imprint of your brand logo for heightened exposure on a memorable keepsake. Size: 2 1/8 " x 3 "